When spring arrived this year, along with its rising flood waters and rain showers, it brought with it some of our old familiar “friends.” For me, the first true hint of spring’s arrival is that when I look out of my window, I see … Dandelions! And when they flower, I know summer is sure to follow. With summer come the picnics, hiking along trails or in our woodlands, swimming, boating and all those other fun activities. But with summer, plants such as the poison ivy, sumac or oak also arrive, and we all know that contact with any of these can cause skin rashes, and all those other things that are not so joyful! There are weeds and then, there are weeds! Most that we come across in our gardens or pastoral nature walks are harmless. But in our quest for the new and pretty flower, some plants over the years have become dangerous and harmful. Do you remember the Purple Loosestrife (lythrum salicaria)? It is a plant with the long purple flower spikes at the top of a two plus meter high stem, and it turned out to be an invasive species. 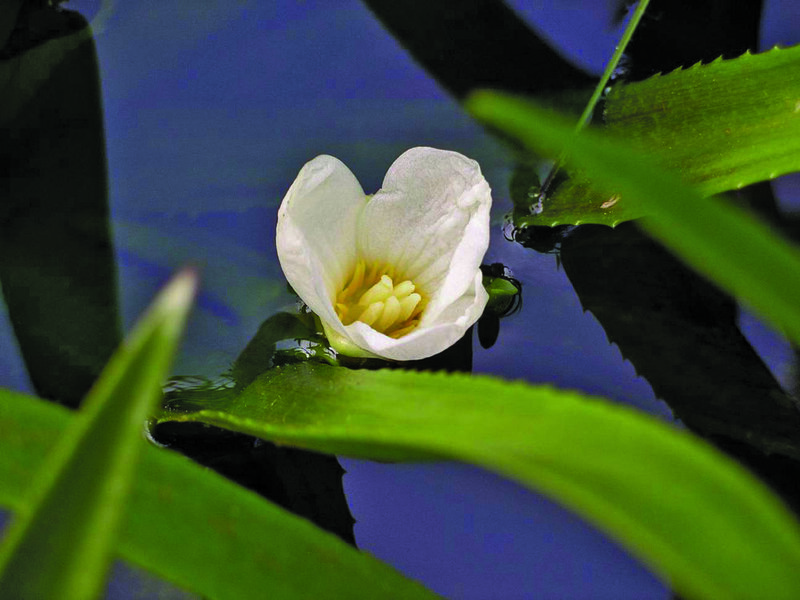 It took over our native ponds and marshes so much that the Ministry of Natural Resources and other governmental agencies via the news media asked people to eliminate this “pest.” Or, if there was a lot of it people were to call the Ministry to remove it. 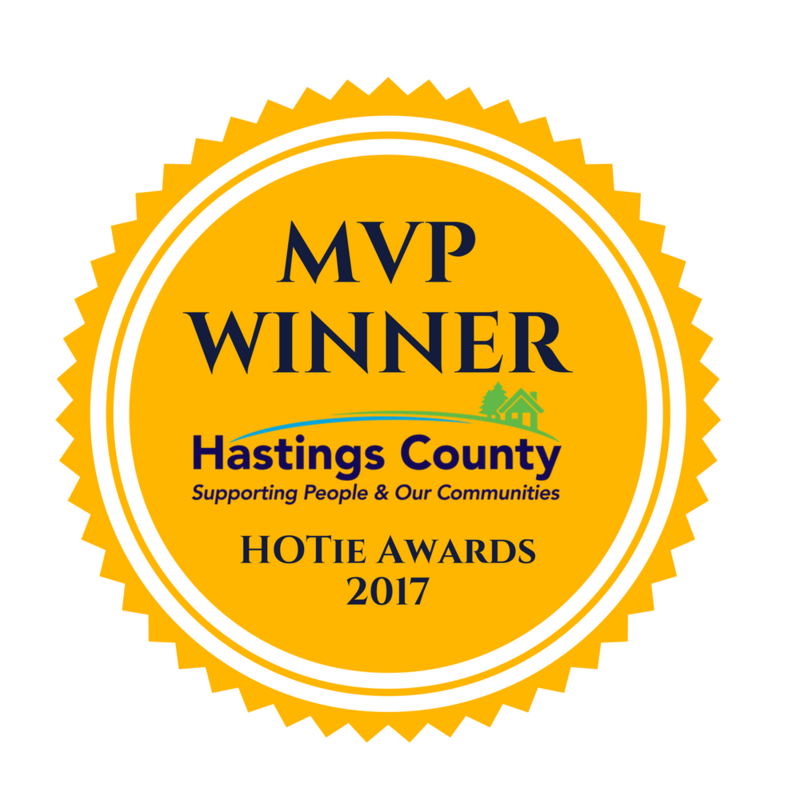 Over the last few years, a number of new species have arrived in our province and more specifically in the County of Hastings. Some of which are very dangerous and toxic to humans. But, what is a weed? By definition, from the Merriam-Webster dictionary … a weed is “a plant that is not valued where it is growing and is usually of vigorous growth, especially: one that tends to overgrow or choke out more desirable plants.” However, one person’s weed can be another’s prized flower/plant! A few years ago a visitor to our property saw all my orange lilies and called them weeds. She saw them growing in the ditches near her community, so considered them weeds. But “invasive” species and “noxious” weeds are another matter! Generally an “invasive” species is a plant, fungus, or animal species that is not native to a specific location. Usually these plants are a species initially introduced to an area, and as a result have spread to such a degree that it has caused damage to the environment, human economy or human health. Under the invasive species banner you will also find noxious weeds; plants that are harmful or poisonous to humans, domesticated grazing animals and wildlife. There has been some information about noxious weeds in the media over the last few years. These “pests” can be very dangerous and not something to fool around with … extreme care is essential when handling these plants. Some can cause skin rashes, skin burning, blindness, and in some extreme cases death. 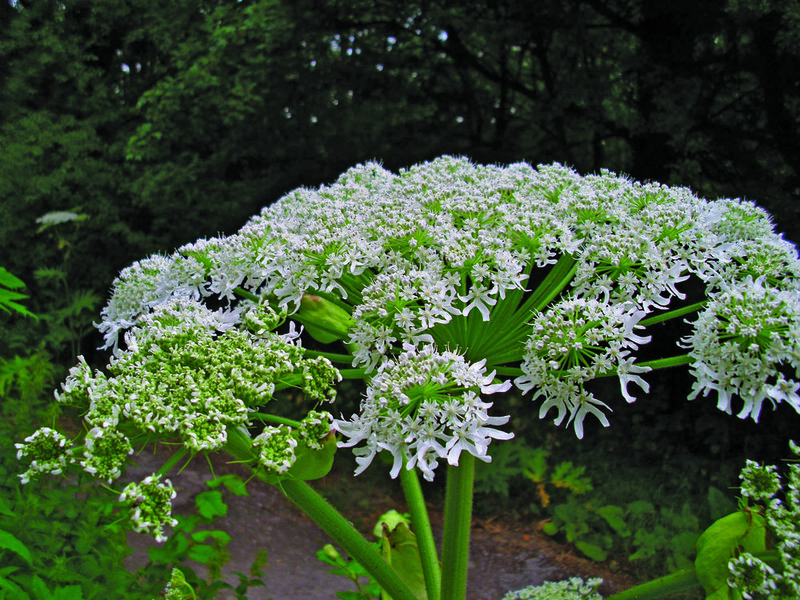 The most common of these that we have heard about in recent years are the Giant Hogweed and Wild Parsnip. I remember driving along a road several years ago, and at a quick glance thought that a neighbour’s dill plants had self-propagated themselves via the wind. I soon discovered after looking at them more carefully that these were not the healthy herbs I thought they were … instead deadly weeds that could cause a lot of human suffering. But by far these are not the only ones we, as residents or visitors may be able to see in our own Hastings County. 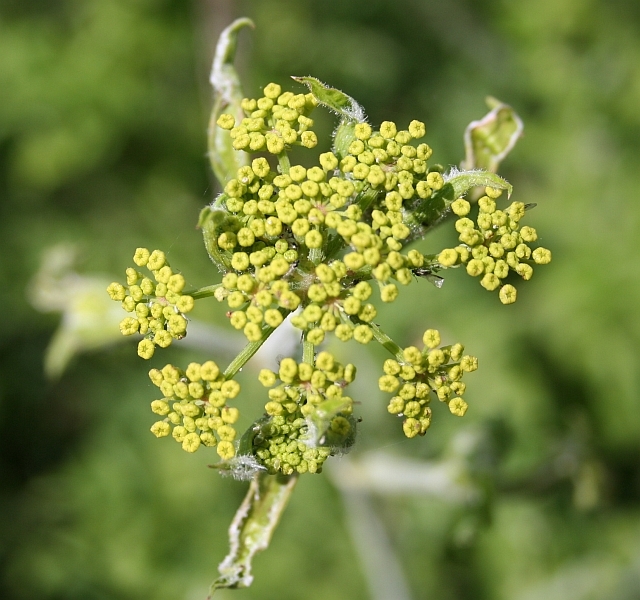 In Canada, the Canadian Food Inspection Agency (CFIA) regulates invasive plants under the “Plant Protection Act, the Seeds Act” which designates certain plant species as noxious weeds in the “Weed Seeds Order.” Each province also produces its own list of prohibited weeds. The Ontario Ministry of Agriculture, Food, and Rural Affairs (http://www.omafra.gov.on.ca/english/crops/facts/noxious_weeds.htm) lists 25 noxious weeds, with identifying characteristics, photos, and cautions. In addition there is a list of 19 invasive aquatic weeds … Water Soldier, Phragmites (European Common Reed), and Eurasian Water-Milfoil to name only three. Lower Trent Conservation’s Ecology & Stewardship Specialist Ewa Bednarczuk, says their watershed has a “short list of emerging species (of invasive and/or noxious) of public concern: Water Soldier, Phragmities, Dog Strangling Vine, Giant Hogweed, Wild Parsnip, along with an invasive insect, the Emerald Ash Borer.” She said that “A thorough inventory of invasive species in the Lower Trent watershed region does not yet exist.” Both Bednarczuk and Maya Mnavrot, Quinte Conservation’s Education and Stewardship Coordinator, indicate that they are in regular contact with the group “Ontario’s Invading Species Awareness Program” (www.invadingspecies.com). 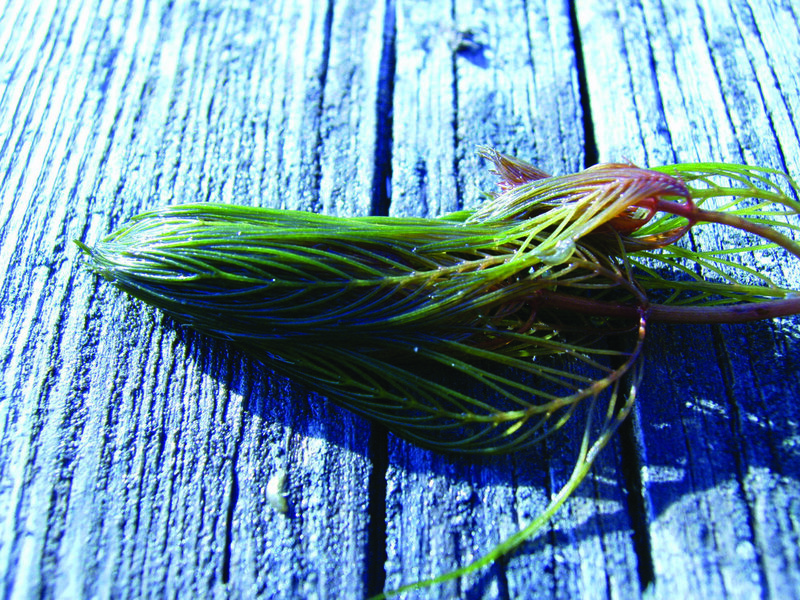 This program was created with the support of the Ontario Federation of Anglers and Hunters, in partnership with the Ontario Ministry of Natural Resources and Forestry and is an active participant in the EDDMapS programs (Early Detection & Distribution Mapping System) which is also actively pursued in 40 US states, and four Canadian provinces (http://www.eddmaps.org/ontario). In checking out this site, you can see for yourself all the various invasive species and noxious weeds that are moving further across our province and Hastings County. There may be a lack of reporting in our county for as you scroll down the very long list of daily sightings, our county has fewer than our nearest neighbours both to the west and east of us. It is thought that most probably there are a lot more of these invasive plants here than these reports indicate. That being said, all of the conservation specialists I spoke with emphasized the need for the public to keep an eye out for all of these species and update the EDDMapS programs. And it is so easy to do! You can call the Invading Species Hotline at 1-800-563-7711 or, download the EDDMapS Ontario app to your smartphone. So, on your next walk, hunting or fishing trip, or while enjoying a pleasure cruise on our waterways, you can now submit invasive species observations directly using your own smartphone. The more information (type and location) we can provide the better chance our various levels of governments have in eradicating these “weeds.” Maybe one day … no more dandelions! But then, they can taste great in salads and wine! All kidding aside … please see the links below for invasive species identification, toxicity and methods of removal. You may be able to remove the “weeds” by yourself … by very carefully following the directions listed (permits may be required). OR take the much safer and easier way … contact the professionals to do the work for you.